There are many reasons to join MIS (Al Sharq Alsawat) as a student. First, you will be served by a professional, qualified staff at a school that has an established reputation for excellence. 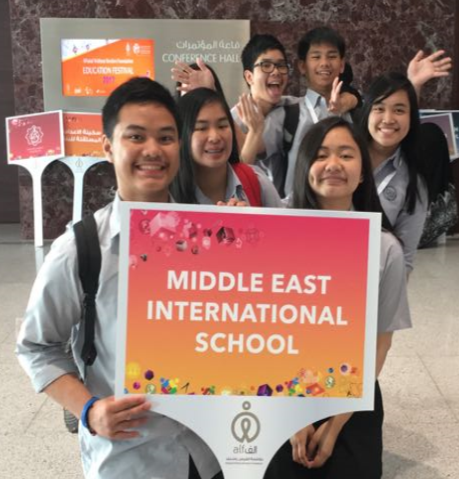 MIS has served students in Qatar for more than twenty-five years. Our current staff are hold professional certification specific to the grade level and subject they teach. More than 45% of our professional staff hold a master's degree or higher. And, the professional staff has committed to ongoing professional development in order to ensure their skills remain outstanding. Second, you will learn in a diverse setting through the College Prep American Curriculum. Based on the Common Core Standards and California Standards, the curriculum offers a traditional American education experience following the traditional sequence for pre-college/university study. The students you will study with come from more than 50 countries representing diverse cultures, backgrounds and experiences. Third, you will improve your English! All lessons are taught in English with the exception of the foreign language classes (Arabic, Arabic for non-speakers, French) and Islamic Studies. Fourth, our school culture and climate is extraordinary. Given less than 75 students in each grade level, students get significant 1:1 attention from their teachers as well as knowing their principal and the Head of School. Adults in the building are respected mentors, coaching students to the next level based on standards of excellence. Fifth, MIS can open doors to the world. Through our travel and field trips, students experience opportunities both with Qatar and beyond. Our sister schools in the USA and China are just two of those opportunities. In addition, students are able to participate in many competitions and to compete internationally with Destination Imagination, Robotics, and Model United Nations at the middle and high school level. We believe it is the combination of these five attributes along with our mission and vision that lead to outstanding academic preparation for American and European colleges and universities. There's a lot more to MIS - but, we hope we helped you understand that our school is exceptional. School Office Hours: 7:00 a.m. - 2:30 p.m.